Enter the Wurm Haus – an immersive, reality-warping space created by New Zealand-born, Melbourne-based artist Jess Johnson. Ixian Gate is the extraordinary centrepiece of the exhibition, where visitors are invited to don virtual reality headsets and immerse themselves in Johnson’s 360-degree, dystopic world. 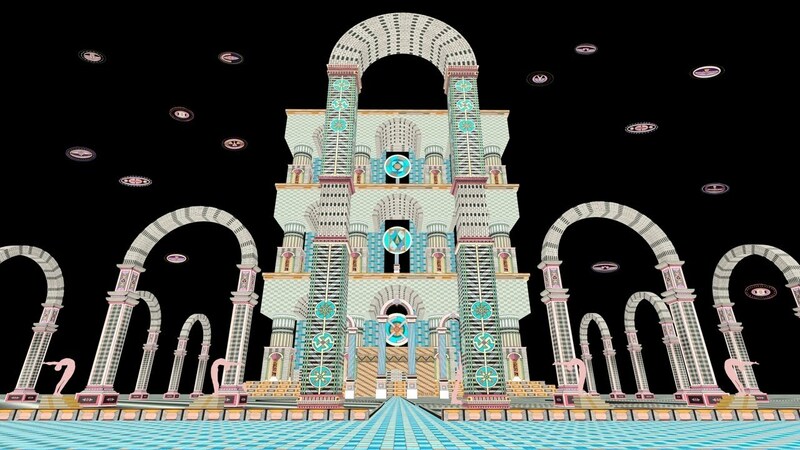 Using Oculus Rift technology visitors are submerged in an altered reality, with the walls of the exhibition creating an additional layer through geometric patterning, visual motifs and a suite of drawings. The unexpected world created by Johnson reflects her interest in science fiction, parallel universes, outsider art and comic books.